Any veterinarian worth his degree is going to provide every pet who comes through the door with the best care possible. We veterinarians love animals, and we are highly trained and highly skilled medical professionals, proud of the work we do. But I’m going to let you in on a secret: Some pet owners are treated a little better than others. Why? Because veterinarians are human, of course, and we can’t help but appreciate people who appreciate us. There are owners who make us smile when they call in or when we see their names on the appointment log. We can’t wait to see them, and we can’t wait to help their pets. The entire staff feels the same way about these folks for the same reason we veterinarians do. Arrive a tiny bit early for your appointments. Treat the staff with respect, warmth, and good humor. 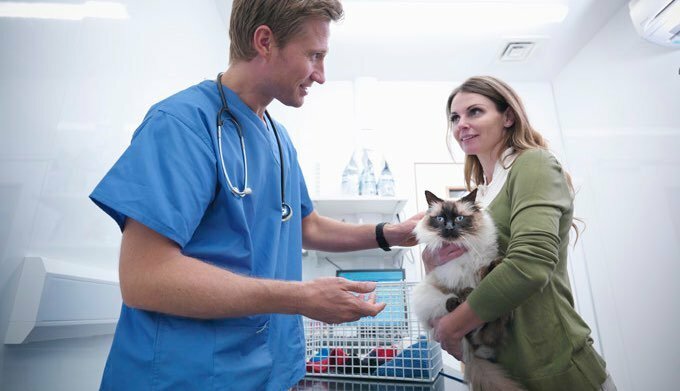 Have a full history of your pet’s medical problem — the more detailed the better (i.e., vomited three times yesterday; it was slimy, yellow, and contains bits of cardboard packaging). Train your pet to welcome, not fear, a veterinary visit, and handle your pet early and often so that he will permit his veterinarian to easily examine him. If we exceed your expectations, recommend us to others with enthusiasm and frequency. On occasion, for any or no reason, bring us a plate of brownies or cookies to feed our tired crew. Even more “brownie points”: do it sometime other than the holidays, when the break room is already filled with treats. That last one is a true sign of a pet lover who deserves red carpet treatment. I can’t tell you how often we get so busy because of emergencies or appointments that take longer than scheduled that we don’t find time to eat. A cookie in the middle of a long afternoon on an even longer day? We love you. We really, really love you. People who fight to take their calls and veterinarians who fight to win their pets as patients. A veterinary team who lights up when they walk through the door. A spot on an overbooked schedule or a place to board their pets on a holiday even though we’ve been booked up for months. Extra care for their pets and even a call or email with breaking information that could affect their pets’ health. Extra time in the exam room, even at the end of a very long day. And, perhaps most importantly, an invitation to call us 24/7/365 for help when they need it — and we’ll either pick up the phone to talk, race to the practice to meet them, or refer them to someone else and ask that they get extra special care. Now don’t you want to be a veterinary VIP? I hope so, because I can never have too many pet owners who make me smile at the thought of them. Check out more of Dr. Marty Becker‘s opinion pieces on Vetstreet.